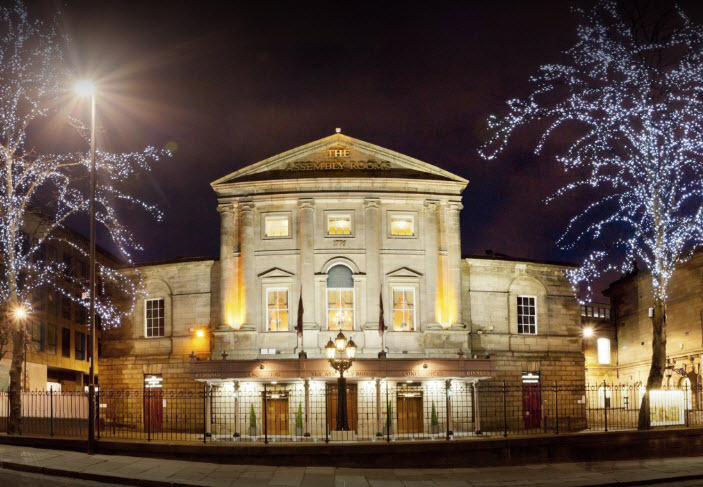 Now in the super capable hands of Jo Cameron and Beverley Sherratt the Talking Point of Business Conference Newcastle 2018 steps up a gear for 2018 with a new 5 star location in Newcastle Assembly Rooms. Running from 9.30am until 4.00pm with after event networking and socialising this will be a day jam packed full of learning and inspiration from some of the leading figures on the North East small business scene. The unique #TPBiz format includes talks from three highly respected and in demand guest speakers, masterclasses from five successful high profile business mentors each having valuable advice and strategies that will be shared throughout the day. The Talking Point of Business Conference Newcastle experts will come together for a panel discussion, a networking lunch will provide opportunities for delegates to connect with one another and hands on activities will deliver the educational value of #TPBiz. So who are the Talking Point of Business Conference Newcastle guest speakers and masterclass experts? Keynote speaker is James Lane – One of the leading providers of social media training, digital media consultancy and support and an excited technology supporter and early adopter. Kicking off the day will be Richard Tubb – Richard started his own IT company in 2003, and sold it in 2010. Taking it through the many challenges of scaling up to form a clear understanding of the pleasures and pitfalls of making an IT company succeed. Pre-lunch speaker Natalie Hailey comes fresh from a successful speaking engagement at Newcastle Start up Week. Natalie helps small businesses and entrepreneurs to create quality, share-worthy content and promote it, and their brand, online. For larger brands, she works as an outsourced content marketing strategist, producing and implementing strategy. Nicola Little – Nicola is talking all things digital and social media. She’ll bring simplicity to getting yourself out there on social media and take away the fear factor! Tiana Wilson-Buys – Due to popular demand, we’ve asked Tiana to get us organised. She is the most organised person we know. She has a plan, template and time map for everything. You told us time management was an issue. Tiana is here to solve that problem! Donna Skaife – Donna will talk all things MONEY! She’ll give you the short cuts, the benefits, the dos and the don’ts, to get the best financially from your business and to keep you on the right side of HMRC. Manage the pennies and the pounds will come flooding in! Alison Machin – Alison is here to help you to keep your business going from strength to strength. There’s lots of help for start-ups but much less for those of us in years 2, 5, 10 and beyond in our business. Alison will help you to look at the what, where, why and how of your business so that you can sustain your current success or develop a growth strategy. Daniel Flounders – Daniel is from Archers Law firm. He specialises in Corporate and Commercial law. He will be keeping you on the right side of the legal system, helping you to develop the best terms of business, things to consider in partnerships, collaborations and using associates. He’ll give you the small business essentials. This is a great opportunity to get free access to advice we need but sometimes put off! A GDPR FREE ZONE! The only reference Daniel will make is if there is anything significant to learn 3 weeks on!